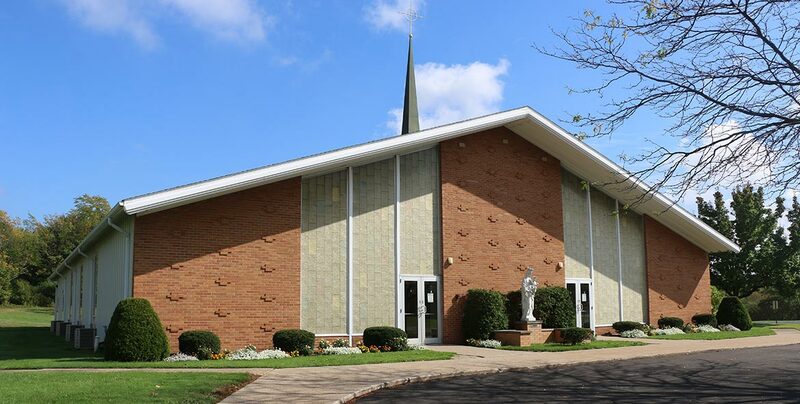 Good Friday, April 19th, services at 2:00 p.m.
Holy Saturday, April 20th Vigil at 8:30 p.m.
Easter Sunday, April 21st Mass at 7:30 a.m., 9:00 a.m., 11:00 a.m. Welcome to the website of Our Lady of Mount Carmel Parish. We are so happy you are here, and we are excited to share with you the marvelous ways in which God is working in our parish! We as a Roman Catholic community in the Diocese of Erie welcome you and, perhaps, in a sense, have been waiting for you! Our parish community is part of the mystical body of Jesus Christ. Our goal is to offer you a place of faith and fellowship in which you can grow in love with our Lord Jesus Christ! Please join us at one of our Liturgies! Learn to paint with us. 7, 9 a.m; 6 p.m.
8:30 until 3:30 p.m. Mon., Tues., Thurs., Fri.